Our In-Network Board Certified Doctors Know How to Get You Out of PAIN and Enjoying Life Again. Call us Today! 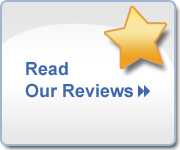 Read Our Reviews and See What So Many People Are Saying----"When You Care About People, It Shows!" Call Us Today to Discuss Your Needs. Most people are relieved to know that we can treat their disc problems. 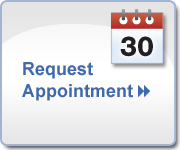 Before you opt for an invasive procedures with no guarantees, you owe it to yourself to give us a call. Neck and back injuries can happen in many ways. Auto Accidents top the list. Call us Immediately after an injury to prevent your condition from getting worse! Are you Tired of Hurting? Call Stewart Clinic Chiropractic Group! Thanks for taking the time to learn a little more about us. You might find it interesting to know that Stewart Clinic Chiropractic Group is the oldest existing Chiropractic practice in Athens. Since 1973, we have treated well over 17000 patients delivering literally millions of corrective spinal adjustments. Athens has trusted Stewart Clinic Chiropractic Group for almost half a century to deliver the very best nonsurgical spinal care...Anywhere. If you are looking for a warm, friendly and professional place to relieve your pain--you have found it. 1) We are In-Network with most insurance providers (including Medicare and Automobile Medical Payments) and have the most affordable self-pay program in Athens. In fact, most Automobile Accidents injuries are covered at 100% by the at-fault party. 2) Our Doctors and staff, under the direction of our Director and owner, Dr. Doug Giles receive ongoing training on the latest treatments and procedures available through evidence-based research. 3) Our office does not require "contracts" or "mandatory classes" for you attend in order to begin care. We work with your physician teams as an integral part of your well being. 4) Treatment plans are specific to each patient. You should expect a thorough examination with a written diagnosis and plan for care. Since we incorporate a multi faceted approach, our treatment plans are 75% shorter than most chiropractic offices. This saves you time and money. Stewart Clinic Chiropractic Group is located at 2425 W. Broad Street, Athens Ga. 30606, right across the street from Blind Pig restaurant. Within our website, Athens and surrounding area residents will find all types of health and wellness related information including information about our office and services, chiropractic, decompression traction therapy, massage therapy, spinal rehabilitation, back and neck pain, work and auto injuries and much, much more. We hope you enjoy the information within and share it with others. Again, thank you for visiting www.stewartclinic.com and remember to come back often.